Welcome to our Year 5! Here is our Context for Learning for Spring 1. We give these out every half term to allow parents and children to familiarise themselves with our upcoming learning! We planned, designed and evaluated our own Anderson Shelters as part of our Topic (WW2!) The Children had lots of fun making their Anderson Shelters camouflaged, robust and appropriate for a family of 6! Well done guys! Science and DT: Our super sonic rockets! We visited a local high school for a taster STEM lesson. We learnt that STEM stood for Science Technology Engineering and Mathematics. We found out that ANYONE could be a scientist or engineer- whether you are a boy or girl! 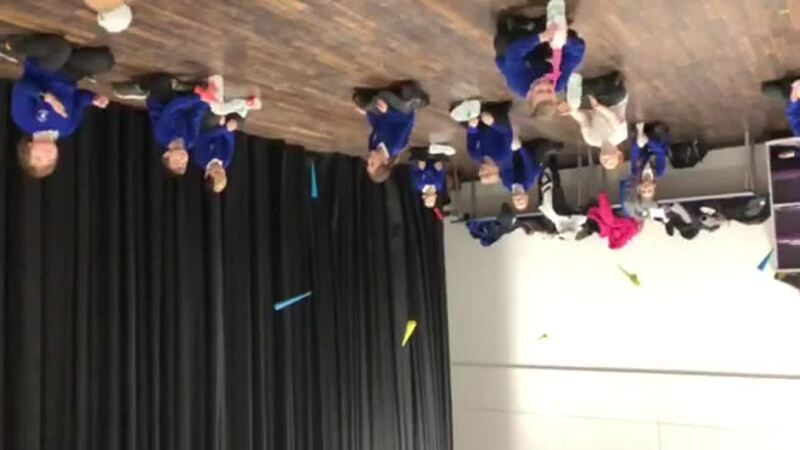 We spent a lot of time making our super flying rockets and testing them out to see how high and how far they could travel. The children loved it and went home with unforgettable memories!